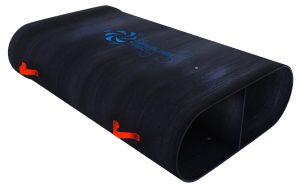 CQ Fibreglass Direct manufactures filament wound composite Ventilation Tubes. All products are fabricated to the highest standard with full traceability on workmanship and materials used. CQ Fibreglass Direct has found that other Carbon Fibre vent tubes on the market once damaged can produce large sharp dagger like splinters. These have caused numerous handling injuries through stick / splinter like punctures. 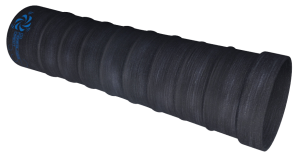 From feedback received CQ Fibreglass Direct has developed a Carbon Fibre tube with a unique layup which vastly reduces the likelihood of stick incidents. It also improves the tubes strength and is more resistant to the damaged caused by vent chains. Being light-weight reduces lifting injuries and is generally a 1 man lift thus increasing productivity. 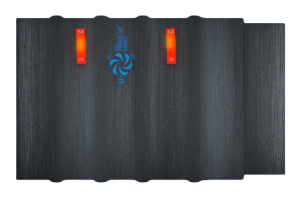 Good ventilation is imperative to reduce the risk of coal mine workers being exposed to unacceptable levels of coal dust, fumes and noxious gases. CQ Fibreglass Direct tubes are extremely durable and easy to handle. 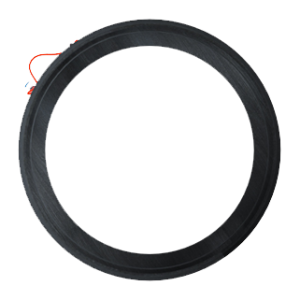 They are supplied in a wide range of sizes and lengths and provide effective, efficient and trustworthy extraction of unwanted contamination sources underground. Oval Vent Tubes are easy to install and a cost effective method to use with low roof height. It provides additional clearance than standard round vent tubes. 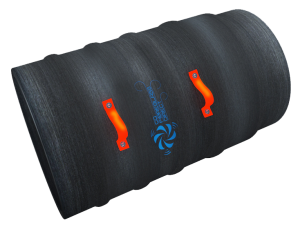 Slider vent tubes are used at the coal face to remove unwanted dust, gases and fumes. This is a durable tube that is used as mining is taking place and moving forward until a normal vent tube can be installed in the line. Telescopic slider is used when a standard tube is not the correct length. Using a CQ Fibreglass Direct Telescopic slider means that they can be adjusted to suit the correct length. This eliminates the needs for site to cut down standard sized vent tubes reducing risk of stick injury, eye injury and labor. It can be built to any dimension.